Adobe Analytics recently reported that e-commerce sales alone hit $8 billion this Cyber Monday! It was a record, and it was the biggest shopping day in the history of the United States. Across the major post-Thanksgiving shopping days, Amazon customers ordered more than 180 million items. They ordered more than four million toys and electronics through the Amazon mobile app. This doesn’t even account for all the purchases made in other departments and in other parts of the world. All of this can be exciting, especially if you’re an e-commerce retailer. The numbers are staggering and only seem to be continuing to grow. With that being said, how can you compete with the force that is Amazon if you’re a smaller retailer or a start-up, even if you are operating an e-commerce platform? The following are some things to keep in mind if you’re a smaller retailer and you’re looking for ways to compete with Amazon, or even just get your own piece of the action. When it comes to trying to stay competitive with Amazon, what’s great is that you can use information and data about what they do and how they do, and integrate it into your own business. For example, it’s very easy to find data on things like what Amazon products are top sellers, keywords customers are searching for when they shop Amazon, and how people feel about products. You can use Amazon to your advantage to research hot products, niches, and trends. You can also get customer feedback on certain products without having to worry about it damaging your brand. You can see the devices people are most commonly shopping on, and the countries where they’re shopping from if they’re not in the U.S. These are all data and metrics that can be useful as you’re building your own small business or you’re a startup retailer. Be Transparent and Provide As Much Information As Possible. With the age of the online shopping experience, customers do quite a bit of research before making any purchasing decisions. You can serve as that source of information for them. Yes, they can find some things on Amazon, but you should make it your mission to be as transparent as you can and provide as many details as possible. Go above and beyond with product photos as well. If you can position yourself as a unique source of information and an authority, it will help you as you compete against the giant presence of Amazon. If you’ve ever shopped Amazon, you probably realize customer service is almost non-existent. 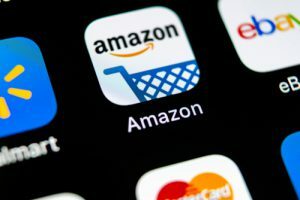 Amazon is a massive marketplace, and it’s fairly disjointed because of all the retailers operating in their own silos. Sure, you may be able to get some customer service from Amazon but not only like you could provide your customers. You should dedicate yourself to being available at all times, or at least making it appear that you are. Have all of your important policies clearly defined, respond to customers are soon as possible if they have questions or concerns, and make it known that you are a real person and you are there to provide them with service. Zero In On Your Niche. One thing that makes Amazon great is the fact that you can go there are find almost anything. That also happens to be a point of weakness. It’s overwhelming. You go there to find a certain vitamin or nutritional supplement, and you find thousands of options, and many of the same products coming from different sellers. Amazon is convenient but sometimes people want to go with a retailer that’s more specialized in a particular niche because it’s not so overwhelming. You’ll never be able to offer an inventory like Amazon so don’t try—instead be specialized. Be Driven By a Purpose. Finally, today’s research shows that shoppers want to buy from companies they feel share their values. People love working with retailers that give back to a certain charity, for example. If you can develop a purpose-driven business model, it’s going to appeal to people in a way that Amazon isn’t. Amazon has the concept of being a giant conglomerate attached to the brand. You can set yourself apart as a company who cares and one that has a purpose and mission that are central to everything you do.